Turmeric not only adds unique flavor to food, it also has a variety of health benefits. Did you know that spicing your food with turmeric or even taking a supplement may not be enough? Our bodies can’t readily absorb enough curcumin, the main active ingredient in turmeric, to make a difference. However, there is a solution. By eating this one simple food along with turmeric, you’ll more easily absorb the curcumin and improve your health. Turmeric, one of India’s main spices, has been used for 4,000 years to treat a variety of medical conditions. This aromatic spice has also been used as an anti-inflammatory in both Ayurvedic and Chinese medicine to treat digestive and liver problems, skin diseases and wounds. Common in Indian cuisine, turmeric is what gives Indian curries their unique flavor and color. Turmeric is also used in mustard, and to color butter and cheese. The parts used in medicine and cooking include the roots, or rhizomes, and bulbs. They’re usually boiled and then dried, which turns it into the familiar yellow powder. Turmeric’s main active compound is curcumin, which has powerful anti-inflammatory effects and incredible antioxidant properties. Recently, science has confirmed what the people of India and Asia have known for centuries: Turmeric may help fight infections and certain cancers, reduce inflammation, and treat digestive problems. But, the curcumin content in turmeric is not that high — only about three percent by weight. While many studies have shown that turmeric is safe even at higher dosages, unfortunately, curcumin is poorly absorbed into the bloodstream. Animal studies show poor absorption of curcumin from the gut, with no trace of curcumin found in heart blood, and only a small trace found in the portal blood within 15 minutes to 24 hours of administration. Meanwhile, another study revealed that only a trace amount of curcumin was present in the stomach and intestine. Other studies show that even high dosages of curcumin won’t increase absorption. When metabolized in the liver, the activity of curcumin seems to be lost. In addition, the act of excretion of curcumin from the body also plays a major role in its activity. In another animal study, 75 percent of curcumin was excreted and only trace amounts were found in the urine. 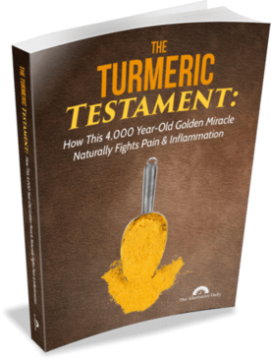 So, what can we do to more readily absorb the vast benefits of turmeric and its active ingredient curcumin? Approximately five percent of turmeric is comprised of the active compound curcumin. Similarly, about five percent of black pepper is comprised of the active compound piperine, which is responsible for the pungent flavor of pepper. It also enhances the absorption of curcumin by 2,000 percent. Basically, our liver gets rid of foreign substances by making them water soluble so they can be more easily excreted. However, black pepper molecules inhibit that process. And it doesn’t take a lot to do the job. If you consume turmeric, within an hour you won’t see a big difference in the bloodstream. We don’t see an increase because the liver is actively trying to get rid of it. Yet, if you take just a small amount of black pepper — a quarter of a teaspoon — then curcumin levels in the bloodstream skyrocket. If you prefer, you can simply swallow a few whole peppercorns when taking a curcumin supplement to enhance absorption. 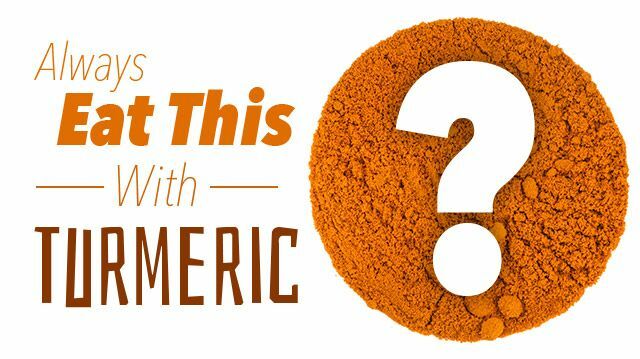 Why is turmeric so good for your health? Study after study reveal why curcumin is so helpful to the body. Some experts even say that supplementing with turmeric is a much healthier option than pharmaceuticals. And while some side effects have been reported, they are minimal compared to side effects of prescription drugs. However, before taking any supplements it’s important to speak with your health-care practitioner. And if you choose to take turmeric, make sure to maximize the absorption with black pepper. Katherine Marko is a freelance writer, author and blog creator. Her areas of expertise include food, health, style, beauty, business and nutrition. Marko holds a Bachelor of Arts in English, a diploma in photography, graphic design and marketing, and certification in esthetics. Previous articleWhat Can You Do To Help The People Of Ecuador? Hey Buddy!, I found this information for you: "Always Eat This With Turmeric". Here is the website link: https://www.thealternativedaily.com/eat-this-with-turmeric/. Thank you.